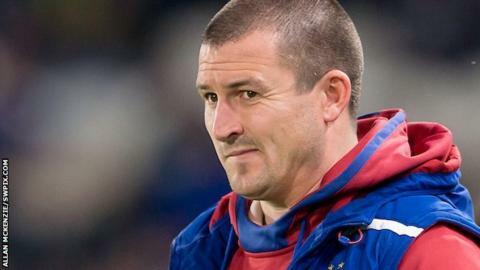 Wakefield Trinity head coach Chris Chester has signed a new three-year contract with the Super League club. The 40-year-old ex-Halifax, Wigan, Hull FC and Hull KR forward has been a big hit at Belle Vue since being appointed by his home town club in March 2016. Trinity have finished fifth in the final Super League table in both his two full seasons in charge. "I am a Wakefield Trinity fan and a Wakefield lad and I'm delighted to have agreed another three years," he said. "To get my deal sorted so quickly is great news for me and my family. We are very settled here." Chief executive Michael Carter added: "We've been having a chat for six months about tying Chris down for a further length of time. "It is absolutely fantastic Chris is on board for another three years at least." Chester's first coaching job after his retirement following a serious neck injury was at Castleford and he then rejoined former club Hull KR, first as assistant to Chris Sandercock before being promoted to head coach. He was sacked in February 2016 and moved back to Wakefield a month later to succeed Brian Smith.